Ms. Mercelin Antony is InFI’s first Business Applications Development Team (Oracle D2K) member. On successful completion of InFI’s professionalization program, she got employed at 3I. Her performance is appreciated by all her supervisors at 3I and she is given bigger responsibility. It’s already two years since she started at 3I Infotech. InFI’s first Business Application Development (Oracle D2K) Team was formed in May 2010 and Mercelin is founding member of the team. Mercelin performed very well and transformed herself into a seasoned application developer with the help of InFI mentors drawn from industry. In addition to SQL, PLSQL and Froms & Reports, she gained knowledge on 3i’s Premia an insurance product. InFI congratulates Mercelin on completing two years at 3i Infotech by contributing immensely to every project she is deployed onto. She currently holds the position of Software Engineer and getting ready to play bigger role. Mercelin ’s expertise include SQL, PLSQL, Forms &Reports in Oracle 10g. She has exposure to other technologies like Java and .net also. She loves to mentor juniors to bringout their full potential. 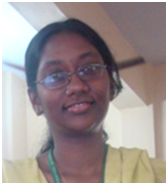 Mercelin worked for Loyola College as an independent consultant for the project on National Conference on ICTs for the Differently-Abled in Education, Employment and Entrepreneurship 2009 ( NCIDEEE), created it’s web page and logo which got National recognition. Launching of website was done by Hon. D. Napoleon, Minister of State for Social Justice & Empowerment, Government of India. Later the book NCIDEEE, for which she was one of the editors, same was presented to ex-CM Dr.Karunanidhi. Mercelin can be reached at mercelinanto@gmail.com for guidance and help to be a successful developer in Oracle Client/Server technologies.